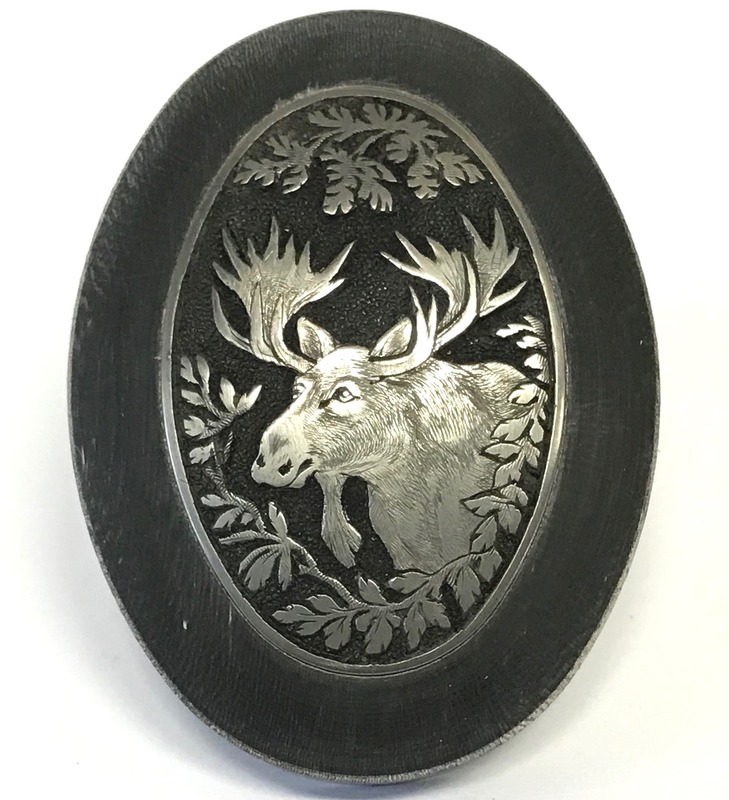 Horn Grip Cap with Hand Engraved Insert - Moose, Treasure Chest | New England Custom Gun Service, Ltd.
Horn Grip Cap with Hand Engraved Insert - Moose. Buffalo Horn grip cap with German Silver insert. Horn base: 48mm / 1.89" Long, 36,3mm / 1.43" Wide and 9,5mm / .374" tall. One of a kind.